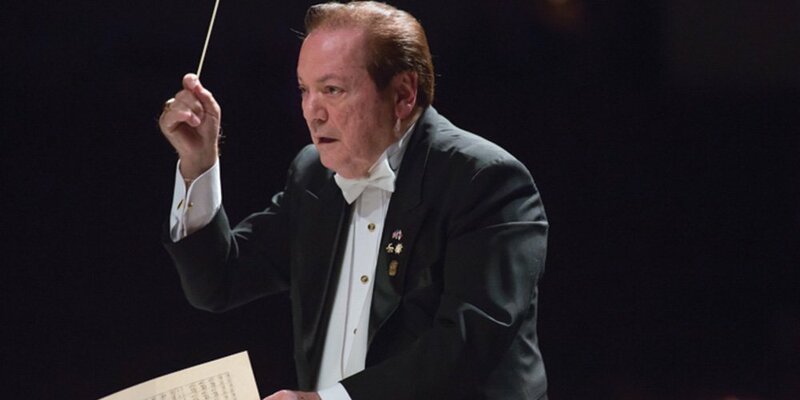 The Symphony of the Americas, a Broward County designated Major Cultural Institution, under the artistic direction of Maestro James Brooks- Bruzzsese, is presenting a not-to-be missed experience in welcoming the internationally acclaimed artist, Duaiv, for an upcoming performance at the Broward Center for the Performing Arts. This creative first-time unique presentation of visual musical impressions invites the audience to immerse their senses in hearing the magnificent music of the full orchestra performing the music of an Impressionistic period composer, while observing first-hand the work of this esteemed international artist. Claude Debussy initiated the Impressionistic style of music in the end of the 19th Century and is seen as the founder of musical impressionism – that of evoking a mood using harmony and tone color. “Music is the space between the notes.” (Debussy) Like in music, the artist, Duaiv sees visual art as the space between the brush strokes. He will paint a new work on stage with the orchestra performing music of Debussy, while a simultaneous projection of him at work on a large screen above the orchestra allows the audience dabble and observe first-hand, his creation in the making. Accomplished in both classical music and fine art, Duaiv embeds the essence of creative inspiration in his world-renowned paintings, commissioned murals, and live performances. With the world as his canvas, Duaiv’s work is a contemporary representation of Impressionism at its height. Born near the city of Bordeaux, Duaiv was raised in an artistic environment—his mother a classical pianist and his father a sculptor. When Duaiv was just 3 years old he picked up his first paintbrush, but to the dismay of his parents, the walls of his home became his first canvas. By the time he was 9, Duaiv completed his first oil painting. His father didn’t want him to become an artist, so instead of art supplies, he bought him a cello. Having met renowned cellist Pablo Casals when he was only 8 years old, the instrument was a natural choice for Duaiv, but he could never let go of his love of art. For this reason, Duaiv chose to become classically educated in both art and music. He attended the Conservatoire National de Musique in in Paris, studying cello, and also attended the École des Beaux-Arts in Paris to further his studies in painting. Duaiv’s art and music opened doors to incredible opportunities, including his inspiration from the famed Surrealist artist Salvador Dalí. Dalí inspired Duaiv to pursue art for a living, and to blend his passion for the arts and music. Duaiv is currently an American citizen and maintains a studio and home in South Florida. Through what he calls “Happenings,” Duaiv performs spontaneous concerts at galleries and outdoor spaces before his book signings and gallery openings. The two disciplines are so entwined for the artist that he cannot paint without listening to music. He claims that there is no such thing as Sunday and he never takes vacation. For two hours every morning, Duaiv practices his cello. Each night, he paints in his studio for four to six hours, always listening to music. The artist uses cans of paint rather than tubes, working with various sizes of palette knives and tiny brushes, often smoothing the paint with his fingers. Duaiv employs pastel colors and swirling brushstrokes in his artwork as an homage to Impressionism, and only uses six to eight colors while painting, yet a full spectrum of hues shines within each artwork. Duaiv’s goal as an artist is to share his art as an experience and inspire his audience. For Duaiv, his art is his life.